During the Second World War, the majority of the Jewish population in The Hague was deported. Of the 14,000 Jews who were deported from The Hague, 12,000 were murdered. This horrific fact deserves attention and a place where they can be remembered in a worthy fashion, a place where the memory returns, a place at the heart of the former Jewish district. 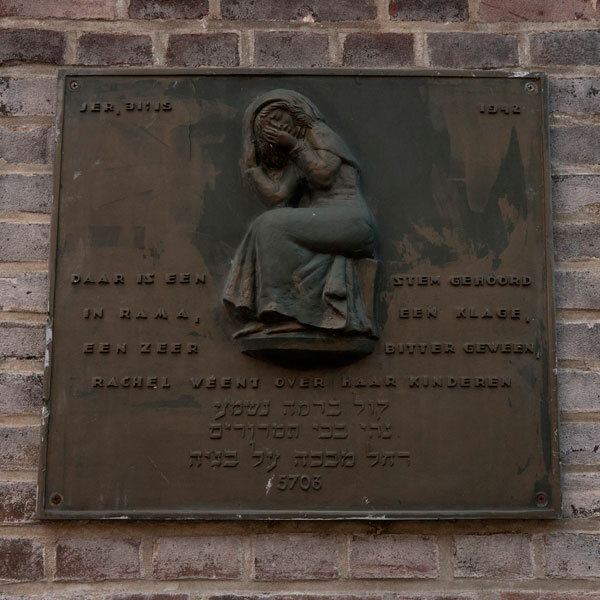 From the end of the seventeenth century until the Second World War, the site of what is now Rabbijn Maarsenplein was the heart of the Jewish district. This square already had the Children’s monument and a replica of the bronze plaquette called ‘Rachel weent’ (Rachel weeps). Both memorials were created in memory of the Jewish children in The Hague who died in the Second World War. 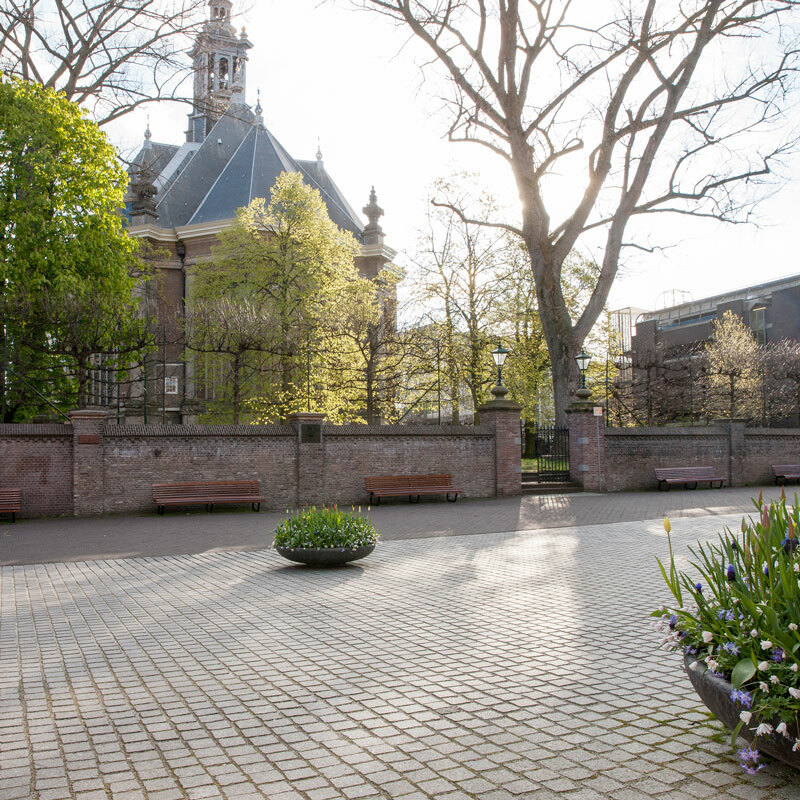 Here a new monument was conceived and produced by the Hague/Israeli artist Anat Ratzabi, who has used existing and new symbolism to create a place at the heart of The Hague city centre for reflection and contemplation. 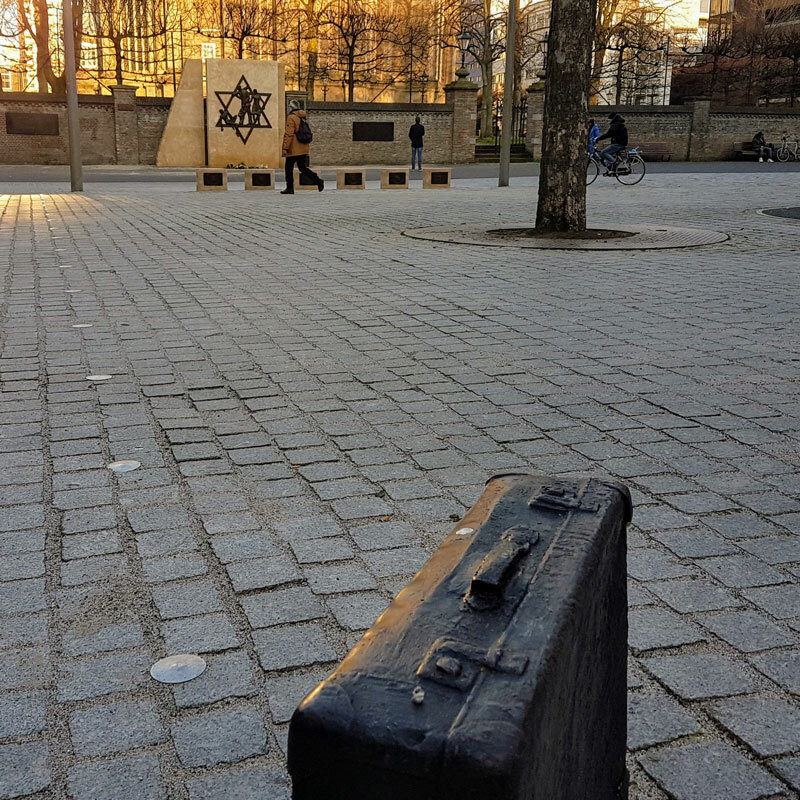 “It is important and also a huge responsibility to keep alive the memory of those who did not return, but also to demonstrate the long-term impact of the Holocaust to people of today and tomorrow. The identity of our society is changing and I recognise the absolute necessity to reach a new generation and keep alive the historic awareness of what can happen. The monument was designed with the intention of inspiring the visitor and stimulating self-reflection. It is intended to promote compassion and tolerance. The oldest sculpture from 1948 (a copy) is the plaquette ‘Rachel weent…’. 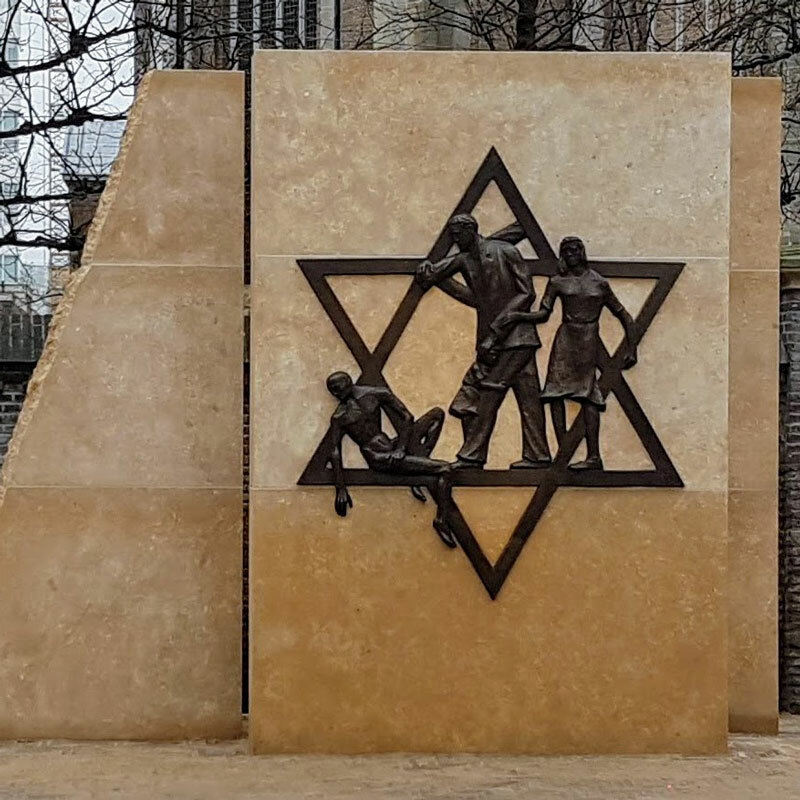 It is a memorial to the Jewish children who were taken away and reflects the sadness. The Jewish children used to laugh and play on this square. During the war, it was the playground for the Jewish school. This is commemorated by the Jewish Children’s Monument. The large Star of David containing four despairing people was installed on the Gedempte Gracht in 1967 as a memorial to the Jewish victims. It is known as the Amalek monument because the text refers to a Bible story about Amalek, the enemy of the Jewish people. The six oval stones symbolise the six million murdered Jews. On both sides of each chair is the symbol of one of the twelve tribes of Israel. This symbolises that everyone, regardless of origin or position, was ultimately sucked into the Nazi killing machine. Sit down, look at the monument, close your eyes and listen to the laughter and bustle of the old Jewish District.